The best way to learn new ideas is to approach them with enthusiasm and interest. It is best to learn and understand ideas and concepts rather than just memorize facts through repetition. Cultivating an active interest in a topic is a much more natural process than repetition. 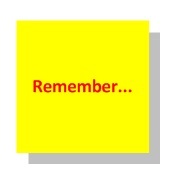 You will be more likely to remember something if it is important to you or if it interests you. Before you begin trying to memorize something, try to understand it. A good way to do this is by making a connection between what you are learning and what you have experienced. The better you can relate the new information to what you already know, the easier it is to learn. For example, before attempting to memorize events of European history, find the places on a globe (or world map) and see where they are relative to one another and also relative to where you live. For tedious lists of information and other topics that are difficult to remember, there is always flat memorization. One of the most successful ways to memorize information is to use mnemonics. Mnemonics are devices used to aid memory typically used to remember a list of items or elements. Commonly used examples of these memory techniques include acronyms, acrostics, or chunking. There is a myth that some people have fantastic memories and some cannot remember anything. In fact, our memories are probably much more similar in capacity and operation than we think. We tend to remember things that interest us or are made memorable in some way. We are more likely too to remember things that are amusing or silly or vivid. Opinions differ on what constitutes an acronym. Generally, acronyms are considered any words formed from the first letters of a list of words. However, according to the strictest definition of an acronym, only abbreviations that form a pronounceable word qualify as an acronym. However, for the purposes of memory techniques, any acronym that can easily be remembered would qualify. For memorization, an acronym can simply be an invented combination of letters. Each letter is a cue to an item you need to remember. In school, students are often taught to use the acronym HOMES to remember the five Great Lakes (Huron, Ontario, Michigan, Erie, and Superior). To create acronym, take the list of words or facts that you want to remember and put them in an order so that the first letters of each word spell a real word or a made-up word. Similar to acronyms, an acrostic is a sequence of letters that helps you remember a poem or other text. As a substitute of making new word, even if, you use the letters to make a sentence. My Dear Aunt Sally (mathematical order of operation: multiply and divide before you add and subtract). You can remember the order of the planets by the sentence “My very elegant mom just served us nine parrots” (representing Mercury, Venus, Earth, Mercury, Jupiter, Saturn, Uranus, Neptune, Pluto). Associate new material with things you already know. You can also associate facts to images. This helps to make the information meaningful and aids in the organization and structure of the material. The more organized the information, the more successful your brain will be in locating the information. By recalling something you already know and making a mental link to what you are trying to learn, you can help yourself recall the new information. For example, the combination to my gym locker is the day my sister was born (Jan. 13th), then the number of dates I had last year (3), then the score on my first calculus test (89). So the combination is 13, 3, 89. Chunking is a memory technique of breaking information down into groups or units. It is based on the idea that short-term memory is limited in the number of things that can be retained. A common rule is that a person can remember 7 (plus or minus 2) “items” in short-term memory. If you try to remember groups of items in chunks of more than 9, your brain gets confused. Chunking decreases the number of items you are holding in memory by increasing the size of each item. Instead of trying to remember the string of 10 number individually it would be easier to remember by grouping or chunking them as 450 87 158 95. Therefore, instead of remembering 10 individual numbers, you are remembering four larger numbers. Flash cards can be used to break the information down into smaller parts and focus on the key points. You can use a single side of the flash cards to list key points. You also can use both sides of the flash card to practice such things as math and vocabulary words. One side will contain the question and the other side the answer. Flash cards can be used by reciting out loud. Lots of people learn better audibly rather than by just reading information silently. By using flash cards you can utilize the audible side as well as the visual side of the brain. Imagery can help you remember groups of words through visualization. If you can imagine certain objects interacting, you may be able to remember them better. If you need to remember random items such as bread, eggs, cornflakes, tomatoes, and maple syrup. Picture; cracking an egg on a slice of bread, then placing a tomato on it then pouring maple syrup on the tomato, and finally sprinkling cornflakes on top. Use positive, pleasant images. Your brain often blocks out unpleasant ones. Use vivid, colorful images because they are easier to remember than drab ones. Use strange or bizarre images as they will stand out more in your mind. Use all your senses including sounds, smells, tastes, touch, movements and feelings along with the image pictures (i.e. an fried egg sizzling on a pan). Make your images three dimensions, movement and space to make it more vivid. To remember you turned off the oven, picture the oven being flipped upside down. Use humorous or funny images because these will stay with you longer than normal ones. Remember the old saying: “A picture is worth a thousand words”. There’s a lot of truth in this. If you have trouble visualizing material, try drawing maps, charts, graphs, or pictures. if you can turn the information to be remembered into some kind of picture or pattern or diagram, you are much more likely to remember it. Storytelling is a great way to help you remember information in any subject. Create a story where each word or idea you have to remember cues the next idea you need to recall. If you had to remember the words cup, table, cat, butter, and camera, you may create a chain that had a cup falling off a table and onto a cat who was standing in butter and you took a picture of it with a camera. Focus on the key points of what you’re learning and arranging them in a logical sequence. If you had to remember the words tiger, ear, door, and Italy, you could invent a story of that you have your ear to a door listening to a tiger in a room speaking in Italian. The method of loci is a great technique for kinesthetic learners. It is a mnemonic technique commonly called the mental walk. It is a method which uses visualization to organize and recall information. First, select a location that you know well. You need a customary direct path through the location as well as clearly defined locations along the path (i.e. on top of the table, next to the television, behind a door, etc…). Imagine yourself walking through the location and placing objects in the defined places you selected. Imagine yourself putting objects that you need to remember into each of these places by walking through this location in a direct path.